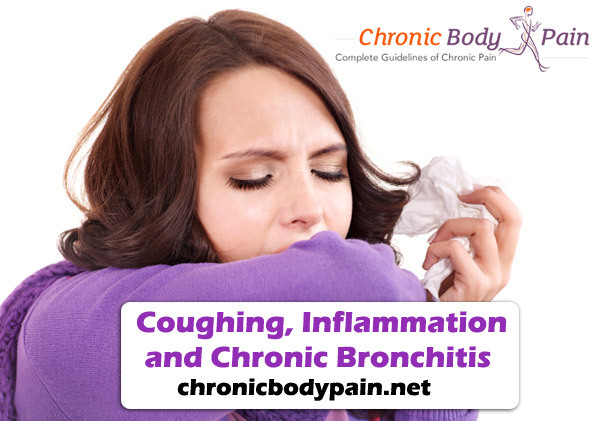 In contrast to Acute Bronchitis, which dissipates in just two weeks at the most, Chronic Bronchitis is characterized as a cough that occurs every single day with sputum production that lasts for three months at the very least for two years in a row. The condition causes chronic inflammation of the body’s major airways, remaining there for a long period of time or returning time and time again. The chronic condition of this form of Bronchitis can be extremely debilitating, encouraging the further development of infections and other bodily ailments along the inflamed airways. It is extremely important to address these symptoms as they arise, as Chronic Bronchitis will not recede on its own. Due to the long course of the illness, people who remain untreated further prolong recovery, compromising their quality of life for a number of months. As a lung condition, air quality and other lifestyle decisions have the greatest effects with regard to the onset of Chronic Bronchitis. The most common cause of Chronic Bronchitis is smoking cigarettes. However, people who have never smoked are also at risk for developing the condition, as multiple cases of Acute Bronchitis can also predict the onset of the illness. Acute Bronchitis is often caused by a viral infection in the bronchi, which is frequently the same kind of virus that can cause the common cold or influenza. With this in mind, anyone is susceptible to the development of Chronic Bronchitis. Other causes specific to Chronic Bronchitis include air pollution, dust, toxic gases and other fumes common in industrial or urban areas. For this reason, people living in heavily populated cities are also more likely than those in the suburbs or rural areas to contract the ailment. Although everyone can theoretically develop Chronic Bronchitis, there are people more at risk than others. Smokers, and those exposed to a significant amount of secondhand smoke, are among the most susceptible to developing Chronic Bronchitis. A study carried out by researchers at the COPD program found that smoking is associated with the significant amount of mucus production that can cause bronchitis. Exposure is among one of the greatest factors in consideration of the fact that air pollutants and toxic fumes are among the leading causes of Chronic Bronchitis. Those who work in environments and come into contact with ammonia, strong acids, chlorine, bromine or sulfur dioxide are at an increased risk for developing this condition. Age is another significant factor in the development of Chronic Bronchitis. The elderly and infants, those with some of the weakest immune systems, are among the most at-risk for contracting this condition. Additionally, studies have found a close correlation of air pollution and Acute Bronchitis in preschool-aged children. For this reason, children may be more at risk for more cases of Bronchitis, therefore predisposing them to be more likely to contract Chronic Bronchitis as well. The symptoms of Chronic Bronchitis can be the most debilitating component of the condition. Not only do they impact the way in which an individual is able to live their life, but they also can present practical problems for normal functioning. The most common symptoms of Chronic Bronchitis are sputum production and cough. These symptoms last for at least three months and occur on a daily basis. While all patients will experience these symptoms, the intensity and frequency may vary from person to person. Sputum may be clear, yellow, green or, on occasion, have some blood in it as well. More mucus is typically produced in the morning for those suffering from Chronic Bronchitis, as the symptoms tend to dissipate as the day goes on. Shortness of breath, or dyspnea, is another symptom that typically increases with the severity of the disease. It is expected that people with Chronic Bronchitis be short of breath with activity and will experience coughing fits. If a person experiences this symptom while at rest, however, the illness has most likely progressed into COPD or Emphysema. Relatedly, wheezing is another one of the most common symptoms of Chronic Bronchitis and is often associated with shortness of breath and airway obstruction. There are also more general symptoms of Chronic Bronchitis such as fatigue, sore throat, muscle aches, nasal congestion and headaches. The severe coughing associated with Chronic Bronchitis can also cause chest pain. Diagnosing Chronic Bronchitis is in all actuality much more simple than trying to diagnose other chronic ailments. Aside from examining a person’s family and medical history, there are several, specific tests used to determine if the problem is Chronic Bronchitis, or something else. The most basic of tests is to test if wheezing or other abnormal sounds can be detected when listening to lungs with a stethoscope. If there is ambiguity remaining after doing this, a chest X-ray will often be used for further determination. Also, a physician will test any sputum being produced for the type of bacteria in a patient’s lungs, making it easier to determine exactly what is occurring in the chest cavity. More specifically, Pulmonary Function Tests (PFT), or spirometry, must be performed in order to make a positive diagnosis for Chronic Bronchitis. Failing this test may indicate the existence of a more serious condition that may have begun as Bronchitis, such as COPD, Emphysema, Tuberculosis or lung cancer. The easiest solution to overcome Chronic Bronchitis is to change one’s own lifestyle, especially if the condition was caused by cigarette smoke or extensive exposure to second-hand tobacco smoke. Encouragement to cease smoking is vital because should a person with Chronic Bronchitis continue on in their current ways, the lung damage can only worsen or progress into an even more serious condition. Similarly, for those exposed to high levels of chemical smoke or toxic fumes avoidance is the key. A person cannot expect to recover and avoid the condition should they continue to pursue the lifestyle that led them to contracting the illness. For this reason, those in careers involving these substances may need to take major steps to restructure their lives to avoid further health complications. There are two major types of medications used to treat Chronic Bronchitis. The first kind of medication is Bronchodilators which work by relaxing the smooth muscles that surround the bronchi. This allows the inner airways to expand, facilitating the ability of those with Chronic Bronchitis to breathe more deeply. The other kind of medication used to treat Chronic Bronchitis is steroids. Steroids work by reducing the inflammatory reaction caused by Chronic Bronchitis, allowing for better airflow through the airways. Should a doctor obtain a bacterial sample, treatment will be directed at that specific culture to achieve the best results for a patient. Additionally, antibiotics can sometimes be used to treat the bacterial infections that often occur along inflamed airways. For those who feel extremely affected by their Chronic Bronchitis symptoms, there are alternative treatment options available in addition to medicinal remedies. Pulmonary Rehabilitation is one such treatment method, combining education and physical exercise that is meant to help an individual quit smoking and overcome the stress and anxiety often associated with the symptoms of Chronic Bronchitis. This kind of treatment also addresses the multiplicity of problems surrounding airflow and blood flow to the lungs, offering long-term solutions for problems. Supplemental Oxygen Therapy is another option attractive to many people. Similar to Pulmonary Rehabilitation, Supplemental Oxygen Therapy addresses blood oxygen levels, doing so both at rest and during activity. This helps patients recognize the necessity of exercise, sleep and other essential activities necessitated by the recovery process. Home remedies are also a plausible component of treatment, so long as they are supported by medicine or other solutions. Humidified air is one of the simplest ways in which an individual can reduce the severity of their symptoms, allowing mucus to flow more freely and effectively reducing some of the blockages in the airways. Additionally, breathing in through the nose and out through the mouth is key, moistening air prior to it entering the lungs and warming it through the airways. Other alternative treatments include over-the-counter (OTC) cough suppressants, although the effectiveness of this is more ambiguous. Although OTC drugs may facilitate a more comfortable couple of hours for those with Chronic Bronchitis, it is ultimately a short-term solution that will not resolve the real problems of the condition. The best solution for Chronic Bronchitis is to address the problems as soon as they arise. If an individual smokes, or is exposed to large amounts of toxic substances on a daily basis, they should be even more aware of the possibility to contract this condition. Because of the longevity of the ailment, people should always take the most obvious steps to avoid the possible risks of developing the condition. Chronic Bronchitis is proof that the lifestyle choices that one makes have large implications for the quality of life enjoyed by an individual, and with the right adjustments, Chronic Bronchitis can be an avoidable, distant concern.